Want to travel to Azerbaijan? 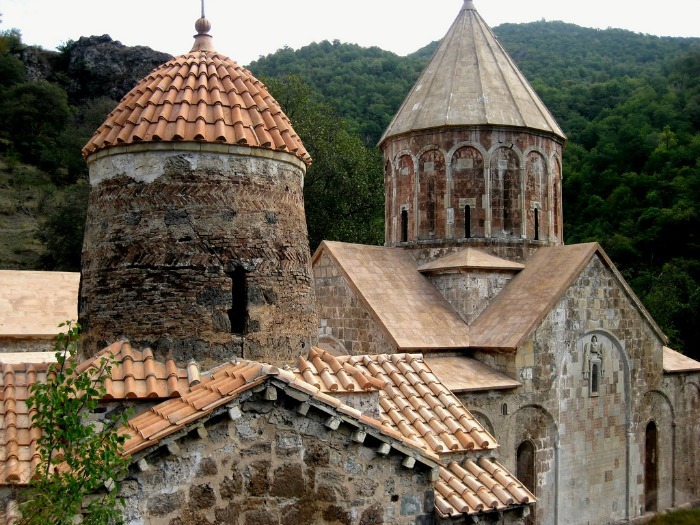 This Azerbaijan travel guide comes to us via lovely Colleen who lived in Azerbaijan for three years, working as a youth development Peace Corps volunteer in Ismailli – a small town in the the Caucasus mountains. Azerbaijan a Eurasian country of 8.7 million, bordered by Russia, Iran and the Caspian Sea. It is one of the five most developed countries among CIS members and it has a high standard of living as well as low unemployment and crime rates. Who knew? 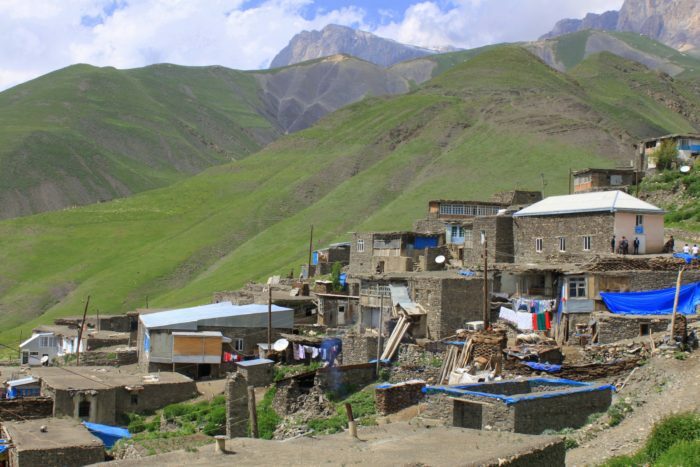 Accessible for only a few months each year, this village is thought to be the oldest in Azerbaijan. The people speak their own language, and have developed a unique way of building houses into the mountain sides. (Best in May) Its necessary to rent an SUV (around 180 AZN for the weekend) but its worth the cost. Pack camping gear and pan to spend time walking through fields of wildflowers, fording rivers, meeting mountain cowboys and camping near fresh streams. While there is not one specific destination in Sumqayit-outside the abstract Dove statue on the beach, and drinking 60 qap. shots of Russian vodka in the shadow of said statue (a must! )-its worth a day trip to see, what is still considered to be the most polluted city on earth. 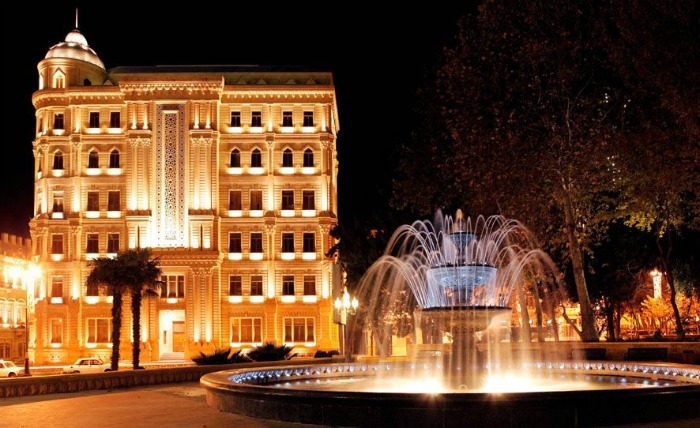 This is where Azeri’s come to strut,see and be seen. Grab a cold beer at one of the numerous cafes and people watch while enjoying a Caspian Sea breeze. 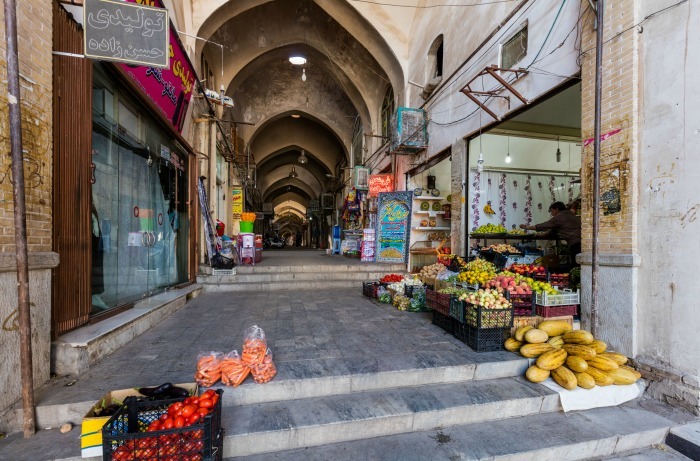 Bring your camera and all your left over qapik-stare in awe at mountains of fruit,veggies, spices and fresh cuts of meat-vendors will compete for your attention, but don’t mind if you ask to try a piece of fruit/veggie before buying. Local fire is named: Xan and Man (yes you read that correctly!) and must be washed down by a few bites of sliced lemon. A recent 4-hour session with five people eating of all the above mentioned food rendered only 60AZN ($76 US) worth of damage. People will stare. A lot. Mostly in the regions, but also in Baku. Also, you will stick out as a tourist and as such, you will be approached (especially if you are female traveling alone) by amorous males seeking ‘friendship’. Baku has a new taxi service – purple metered taxis that look like the London cabs – are generally the drivers who speak English. Otherwise you will have to negotiate a taxi, with drivers charging the unsuspecting outrageous prices. Another good taxi service, if you or a friend has a phone is 189. They give you the price over the phone and pick you up from where ever your location is. This is good to remember if you happen to arrive at the airport at an ungodly hour, which often happens since flights to Baku have only recently increased to include more normal hours. 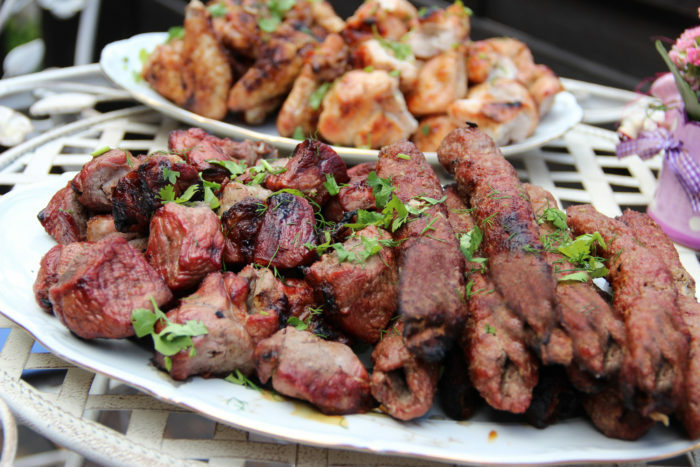 Mark Elliot’s Guide to Azerbaijan-This guide literally has everything! Whether you want to find the halved Lenin statue in Yevlax (in the middle of a field next to a car graveyard and cows) or rent a SUV for the Xizi to Shamix mountain pass-this guide is one of the most accurate available. Toilet paper, hand sanitizer, swiss army knife(with bottle opener, scissors), water bottle, time, desire to drink more tea than you thought was humanly possible. Cash! Even in Baku, many places don’t take cards, so plan ahead and make sure you have cash. Have any of you been to Azerbaijan? Any questions for Colleen? Ooh, AWESOME! 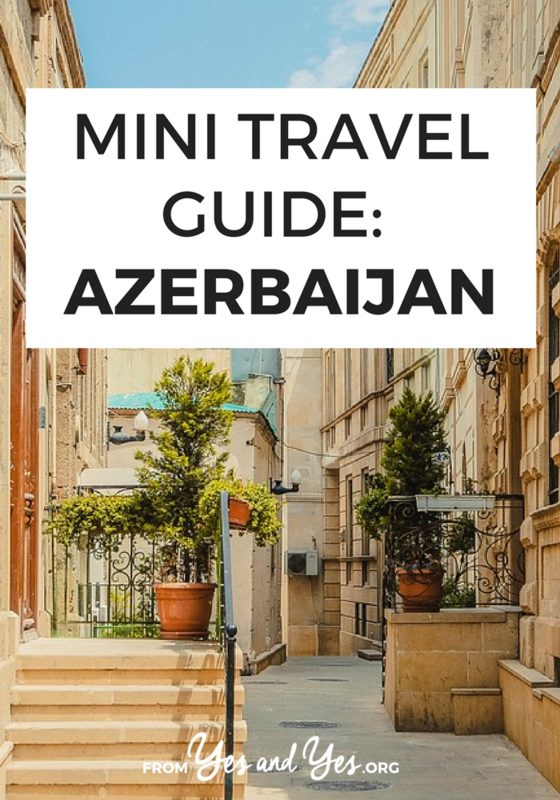 I'm supposed to be making a trip to Azerbaijan sometime next year, and this little guide came in super, super handy! Hahaha "Where is your mom?" I'm gonna start using that one here in Canada. At first I thought the language was Turk-based, and then I Wikipedia'd it and found I was correct! Awesome! Of course, with a little Arabic thrown in, like even Turkish does. It made me thought that Azerabaijan is nice place for camping and even spend summer days. Looking forward to go there! Dear Iris. My name is Murad. I am from Azerbaijan. Azerbaijan language is Turkish based language. We completely understand eachother. Turkiye people is Osmanli Turkish but we are Azeri Turkish.